Just who was Percy Loomis Sperr? Sperr’s thousands of photos span twenty years, they explore every major street, every neighborhood, every bridge, every highway, every building, virtually every corner of the city. Despite offering us an unequaled view into 1930’s New York, nobody seems to know who he is. Other than an occasional photo credit, his name is never seen. He has no wikipedia page, no newspaper bio, nothing, and yet a search at the New York Public Library website for ‘Sperr” turns up 17,813 photos shot by him. The work of photographer Percy Loomis Sperr, available in the NYPL archives, has been become an increasingly frequent presence on this blog, and is often the only resource I can find to reveal the look of local Brooklyn streets in the 1930s and 40s. Sometimes, especially in the photos of the early 1940s, his work shows us streetscapes in flux, as planner Robert Moses tears apart the fabric of the city's design, but often it uncovers corners of the borough seemingly suspended in the nineteenth century. Among his many subjects, the ones I love the most reveal the lost dignity of blue-collar life - of marine supplier, & dry goods store, of modest wooden rowhouse or stand-alone frame, of streets pre-dating the planned sameness of brick and brownstone development. They show us the original beauty of houses still standing today, masked now by vinyl or stucco, their porches and cornices long removed. And they show us the legacy we've lost - early wooden houses that have gone (and continue to vanish) with barely a murmur of regret. I found the photo above on Todd Berkun's history blog, LI & NY Places that are no more. It accompanies an article on Sperr's life and legacy - a wonderfully informative piece. 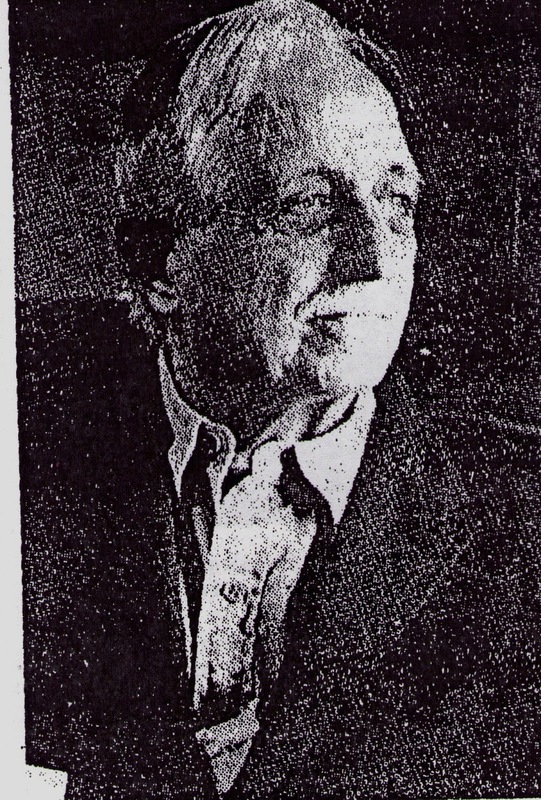 Sperr, a cripple since childhood, moved to New York in the early 1920s, with hopes of establishing a literary career. According to Berkun, he was no great camera enthusiast, but, initially at least, used photographs as part of his writing process. His photographs sold, but his stories did not. Reluctantly or not, Sperr traveled throughout the city, taking thousands of photographs. In 1945, as photograph sales dwindled, he changed course, and set himself up as a second-hand bookseller in his home borough, Staten Island, "selling discarded books of poetry and comic books at three for a dime." Berkun's article emphasizes the importance of Sperr's legacy, and calls for his work to receive wider recognition. Why Sperr’s name continues to languish despite his work being available on one of the most prominent reference institutions in the world is hard to say ... Perhaps the name Percy Loomis Sperr doesn’t convey the image of a great artist. Perhaps the NYPL has not marketed his works to date. They may have not presented or exhibited any of his photos to the public as of yet. I think once they do the response will be overwhelming.